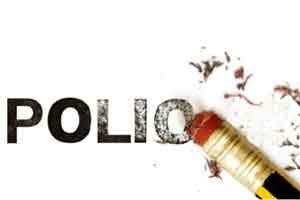 New Delhi: There have been some reports in the media regarding shortage of polio vaccine in India. This is completely incorrect. There is no shortage of Oral Polio Vaccines (OPV) and Inactivated Polio Vaccine (IPV) in the country. As far as polio national immunization days (NID) is concerned, the required quantity of bivalent Oral Polio Vaccine (bOPV) has already been secured for the programme. However, to ensure availability of safe and quality vaccine to our children during NID, the testing of bOPV is made more stringent and the same will be dispatched to states for public use after the clearance from national testing laboratory for each batch and Polio NID will be held soon. Government has not postponed the NID indefinitely, as wrongly reported in the media. Regarding Inactivated Polio Vaccine (IPV), there is neither shortage of IPV nor any shortage of funds for its procurement for Universal Immunization Programme (UIP) in the country. It is to be noted that India has eliminated polio already and as per global guidelines, introduced IPV in its Universal Immunization Program to safeguard the polio free status, as there are few countries where polio virus is still circulating and Polio is yet to be eliminated. All Gavi eligible countries are extended support for vaccines by Gavi.Confronted with steep hike in prices of IPV, India approached Gavi for partial support for further procurements, as India is also a Gavi eligible country and the same has been agreed to by Gavi Board.